$246,000 to promote jobs and self sufficiency for Public Housing. See full article in the media. "HIGH PERFORMER" designation. See full article in the media. 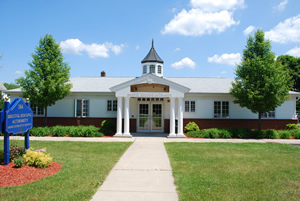 The Housing Authority of the City of Bristol (BHA) was established in 1943 to obtain affordable housing for mid to low-income residents in Bristol, Connecticut and offer them opportunities to participate in a variety of educational and recreational activities in their communities. The agency’s mission, unlike any other Connecticut program, is to create opportunities for affordable housing in a suitable living environment and to promote self-sufficiency within each community. Strategies are continually developed to seek grants and to maintain financial stability in light of reduced federal funding to improve our housing stock and provide necessary services for our residents. To date, the agency has spent over $25 million on renovations to enhance the standard of life and to create places residents can proudly call home. Tuesday 8:30 A.M - 1:00 P.M. The Bristol Housing Authority is an Equal Opportunity Affirmative Action Employer.yer.